Self-hosted WordPress (WordPress.org) and Hosted WordPress (WordPress.com) can be really confusing terms for a newbie to understand! So what do they really mean? Let’s have a closer look at the difference between WordPress.org and WordPress.com; this elaboration will help you to decide what should be the ideal platform for you to work with. WordPress is an open source content management system that can be used by anyone for free. The WordPress platform can be used for powering any type of website or blog. In order to use WordPress for your website, you will have to manually download the WordPress software from the source website – WordPress.org and then you can upload it to your web hosting server. As WordPress is a popular and widely used CMS over the world, most of the web hosting companies provide with one-click installation of WordPress and therefore you can easily install it and start using it. As WordPress is installed on the web hosting server, this is the reason why it is known as a ‘Self-Hosted’ Solution. WordPress.com is operated by a web development company – Automattic. WordPress.com is a commercial website that enables you to create and host a website or a blog on their servers. You can either opt for creating a website for free (which has some limitations) or you can pay for getting a full-fledged platform for creating a website or blog. Which one is better? Or rather let’s put it this way – Which one is right for you? 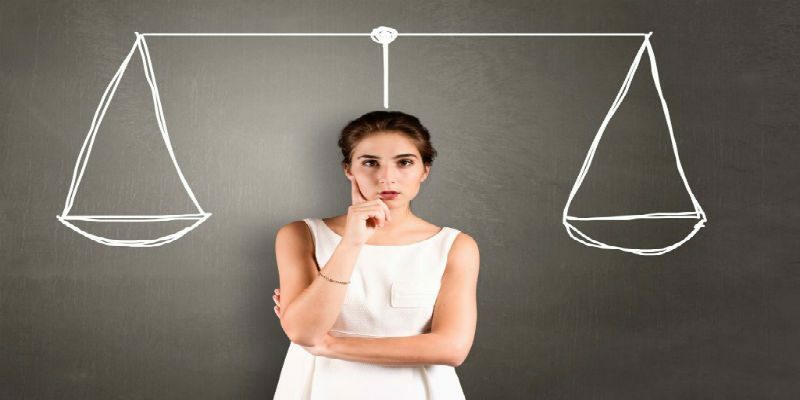 To make decision making easy for you, here is a list of pros and cons of WordPress.org and WordPress.com, you can make your decision based on the requirements you have! You will have to purchase a domain name and a web hosting package for setting up WordPress – This can’t really be counted as a con because you create your own website that’s going to go a long way and you have the complete freedom to do what you want! You might like the fact that you can create a free website on WordPress.com but the truth is you cannot own it completely. If you opt for a self-hosted WordPress website, you are the king! All you have to do is purchase a WordPress hosting package, register a domain name and you can control everything related to your WordPress website along with the source code. WordPress provides a huge number of plugins that can be used for improving the website and keeping it safe. You cannot play much with plugins in a hosted WordPress.com website; however you have access to all the plugins with a self-hosted WordPress website. Once you install a plugin, you can adjust its settings according to your preferences, thus making it easier to manage the website / blog. If you want to create your own website with your preferred domain name with WordPress.com, you will have to pay additional for getting the desired name. If that is the case, you have a better option of registering a domain name and working on your own website. Further, your domain name will become your brand name! Thought of a domain name already? Register your domain name now! Once you have registered your domain name and you install WordPress on it, you are the master of your website and you can publish what you want without worrying about any terms and conditions or guidelines. This is the most significant point because of which many webmasters prefer to have a self-hosted WordPress website instead of the free hosted one. You can add as many links as you want on your self-hosted website and no one is going to take your blog down for the number of links. As a result of this, you will have a continued online presence that will never be hampered. There are many people for whom website means business; people might want to change the mode of business at some time. If you have the complete ownership and control over your website and there are no middlemen or any other authorities involved, it will be easier for you to sell your website if you would like to do so. It is true that WordPress is a popular and an extremely user-friendly platform to work with; however, at times a first-time site owner might have to play and experiment on the website. Unlike a free WordPress website, you can try whatever you want to on your website and add or remove any plugins, extensions or themes. Having your own website gives you a better platform to start with and you have all the resources at your disposal to improvise on your website. If you think that you are not completely confident about registering your website right now, you can start by creating a free WordPress.com website; however, it will become difficult for you to customize it and manage it in the long run. If you are really serious about starting your own website or creating an impressive online presence, then a self-hosted WordPress website will be perfectly aligned with your goals. Nice article!! Points covers are best enough to explain about self-hosted and WordPress hosted website. As per my opinion, when anyone starts as a fresher then one should consider WordPress.org and once they are enough to operate then they should opt for WordPress hosting. Thank you!! The difference between WordPress.org and WordPress.com are really beneficial for the newbies to understand. In that WordPress is an open source content management system that can be used by anyone for free, whereas WordPress.com is operated by a development company-automatic. Also one can easily take backup of the website by using the WordPress.com. Indeed, nice article. Thanks for sharing.